HomeWyzGuys Tech TalkHow Hard Is It To Become A Cyber-Criminal? A command and control server (CNC or C2) to communicate with victims and manage operations, including statistical analysis and payments from victims. Samples of ransomware phishing emails, and the ability to create and customize these emails. This kit comes with a number of additional features and capabilities. A feature called Russian roulette, that deletes some files after a certain time frame to motivate victims into making quicker payment. If you want all the details, click over to Naked Security for the full story. Don’t open unexpected attachment without confirming the attachment with the sender, or forwarding the email and attachment to VirusTotal for analysis. Don’t enable macros for document attachments or document links in emails. Macros are disable by default for security purposes, and enabling macros can open the door to malicious software installation. 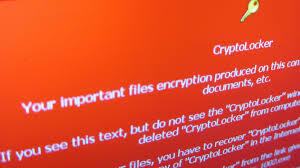 Backup your documents and store a copy off-site, so if your documents are encrypted by ransomware, you can restore from your backup. Install Microsoft and other software updates to close security holes as they are discovered. Both the recent WannaCry and Petya/Non-Petya exploits can be prevented by a Windows update released last March. Use Sophos Intercept X, a security applications specifically designed to recognize and neutralize ransomware attacks. This is a product we recommend to our clients.